Samsung has confirmed rumors and leaks about its new mid-range device, the Galaxy A90. As images have already shown, the new smartphone will have an Infinity display, but not with the hole we have already seen on the new S10 series. Instead, it will sport the first retractable camera on a Samsung smartphone. 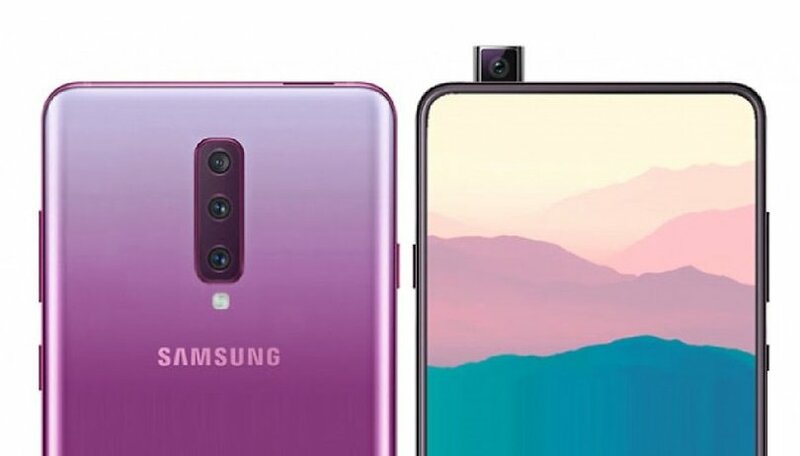 That's right, Samsung uses its mid-range to inaugurate a new series of devices without a notch and with an Infinity screen, in this case through the use of a retractable camera, something unprecedented for Samsung, but which has already been seen in smartphones such as the Vivo Nex and the Oppo Find X. The official website of the South Korean manufacturer in Indonesia has confirmed the implementation of the new screen, called Notchless Infinity. With it, the Galaxy A90 gets an excellent screen body ratio, taking advantage of the entire front panel with minimal bezels. For now, this new type of screen would only be available on the Galaxy A90. A decision that demonstrates Samsung's care for its mid-range. What about the retractable camera? It could be the only sensor (expected to be 48 MP) present on the device, with the possibility of being used as a front and rear camera at the same time. However, the manufacturer has not yet confirmed any of these details. However, the manufacturer is expected to reveal more of its features during an event dedicated to the A series, to be held this coming April 10. What do you think of Samsung's retractable camera? Let us know in the comments below. This design language is also expected with the upcoming Oneplus 7 - A pop-up selfie camera and very high screen to body ratio.